Print 10 to 2500 Custom Coloring Books delivered to your doorstep in 4 to 7 days. Satisfaction Guarantee! Design and print your own coloring book. Get a price and add it to your cart and we will have your personalized coloring book on your doorstep, anywhere in the contiguous USA, within 4-7 business days. Our nationwide customer base from LA to NYC, has given us a 9.4 TRUSTPILOT RATING and a BBB rating of A+. Read our Rave Reviews. Try us out for yourself. Thousands of satisfied customers can’t be wrong. These professional quality coloring book pages are set to print black ink on the interior pages with a full color durable soft cover on top quality premium paper, which can be UV coated to give that luxurious high gloss finish. Our custom 8½ x 11 or 5½ x 8½ saddle-stitched booklets are our most popular. You can order quantities from 10 to 2,500 and page counts from 8 to 96 pages. Perfect binding is also available. Adult Coloring books have been proven to provide stress relief and relaxation. These include everything from very basic coloring books to very intricate designs. Coloring books can provide hours of stress relief, fun and helps with creative expression. With Millions of Adult coloring books currently being sold here’s your chance to print your own coloring book affordably in quantities from 10 to 3000. Our online photobook designer maybe just what you are looking for. Just upload your images, drag and drop and we’ll make it pop. We have organized a team of professional graphic designers to help our customers with their design needs. If the thought of designing is overwhelming for you or you just don’t have time to do it yourself, click on the find a designer button and choose a designer to help you with your design needs. Note: Calendar Design tool is for Saddle-Stitched calendars only. Excellent and professionally printed with great customer support. I made a last minute coloring book out of old photos for my Brother's 40th. The team at printingcenterusa went above and beyond to help me pull my project together. Everyone I worked with was so helpful, they took time to guide me through the process and made sure I received the finished product on time. The finished coloring book - exceeded my expectations - the quality of the paper for the cover and the pages was excellent - thick and durable - crayon and marker friendly (with no bleed through). The clarity and vividness of the colors used on the outside covers was superb - in some cases better than the old photographs I used to create the book. I appreciate the way the black and white coloring pages were printed in that the black outlines don't smudge or become messy when colored over. It was all fantastically done! The coloring books were a huge hit at the party - I couldn't have pulled it off without all the hard work from this remarkable group of people - I cannot thank them enough! I will definitely be using printingcenterusa again for future projects! Great quality, quick delivery. The cutting on the cover was a bit ragged, which could be improved, but that might have been the rush order, so I will find out next time. Everything internally was perfect and I am totally thrilled. Product is great, color, printing all as I had set it up. An easier way to reorder would be nice but the system they have works. Very helpful staff and the coloring books where produced and shipped within 1 week! I will definitely use this company again for future orders! I am so glad that I went to Printing Center USA to print my coloring book! The website gives you specific instructions on how to make sure your print job comes out perfect. I followed the instructions and the results were wonderful! I'm so proud to sell this coloring book to my customers! I'm going to come back to Printing Center USA for all my future printing jobs, and I recommend them to you without reservation! The coloring books I had printed we're beautiful and everything was sent on time. Very happy with my order. Everything was perfect!!! I will totally use printingcenterusa.com again. All 250 of my books look great and received them a day early too. People of the World... give them your order, you will be pleased. Thank you! They offered fantastic customer service and the product is top-notch. I would highly recommend and I will be ordering from them again for sure! The quality and efficiency of the printing was as I imagined it would be. It was quite easy to use the web tool. For making the book. Fast service was great. Would recommend this site to anyone. First time using Printer Center USA and I couldn't be happier. I published an adult coloring book, it turned out amazing and the support I received through phone and email definitely made the process easier and calmed the nerves of ordering something I hadn't seen in print yet. Definitely, recommend. While I appreciate their patience and exceptional use of communication, general courtesy, and manners, I feel it is imperative that shoppers know to send an exact copy of what you really want. There is no adjustment made for the difference in paper for the submitted image. This resulted in a book with some white pages and others that had a grey hue even though the original image was also on white paper. At the end, they delivered exactly what they advertise: a cost efficient, well bound book of the images submitted. Perhaps it's my inexperience with computer technology that makes the difference, but I was really hoping they could accommodate my technological incompetence. This service is best for computer savvy users who have the recommended programs available to compliment their process. Fast service, coloring books came out great! They were great to communicate with! They went above and beyond my expectations and delivered faster than when I needed it. I am so pleased with this printing company! Really happy with the printing quality of my coloring books- clarity and alignment are perfect. Special thanks to Tom and Mary who both worked with me and answered all my questions promptly, and were extremely informative. I will definitely be back for my next prints! Printing Center USA always provides a high quality coloring book and quick turnaround at an affordable price. 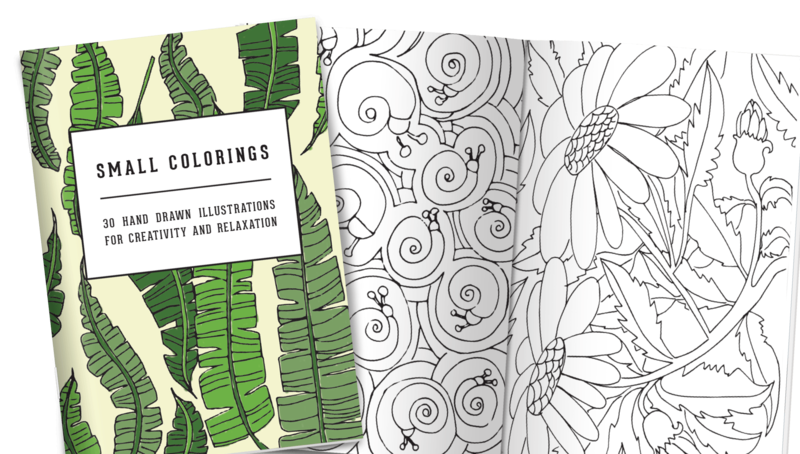 They are a great option for people who are looking to self-publish a coloring book. Paper is standard coloring book quality but you absolutely cannot argue with the price and the delivery speed! Thank you so much! The quality of the coloring book is wonderful! The only hiccup we had is that we ordered 37 booklets but only received 28. Customer service has been amazing and they have located the booklets and sent them out right away. I would definitely use printingcenterusa.com again. The resulting book was great, and the designer who worked on it was extremely helpful! The coloring books turned out just like we wanted. We ordered 250 for a large family reunion and they arrived on time. Thanks. I love how my coloring books turned out. The quality is wonderful. Thank you!